Eight by Surly Brewing is a 12%ABV Oat Wine Aged in High West Rye Whiskey Barrels. Marshmallow cream, chocolate smores, vanilla, oak, dulce de leche caramel, flan, custard, dark fruit raisins, cherries, white chocolate, toffee, butterscotch, bourbon, rye bread, rye whiskey, capirotada raisin bread pudding, Lechera sweetened condensed milk, bananas, clove spice, pumpkin spice, tropical fruits like mango, pineapple, dragon fruit, piña colada hints, pecan pie, hazel nut, oatmeal cookies, Danish cookies, oranges, citrus, coriander spice, macadamia nuts, marzipan, burnt sugar, brown sugar and candi sugar. Bourbon, Rye whiskey, dulce de leche caramel, vanilla, oak, flan, custard, tobacco, leathery notes, sweetened condensed milk, oranges, coriander spice, mango, pineapple, dragon fruit, pears, apples, toasted coconut, piña colada hints, rich white chocolate, toffee, mild pumpkin spice, cinnamon, chocolate chip oatmeal cookies, Danish cookies, Tres Leches cake, marshmallow cream, bananas, clove spice, chocolate smores, butterscotch, rye bread, brown sugar, marzipan, hazelnut, burnt sugar, candi sugar hints, dark fruits like cherries, raisins, plums, biscuit bread, capirotada raisin bread pudding, pecan pie and almond joy chocolate. Lingering dulce de lecher caramel, burnt sugar, white chocolate hints, citrus, mild piña colada hints , bananas, toasted coconut, rye whiskey, earthy notes and pecans. No alcohol in the taste despite the ABV, smooth, creamy and silky mouthfeel, sipping drinkability with some notes that makes this really easy to drink and a full golden brown full body. There is no surprise here. The moment I realized I really liked this one was right when this beer started to have some special tropical hints and white chocolate for some reason. I kept tasting white chocolate at times especially as it got warmer. I am not sure if that is part of the Oat wine or the combination of the that with the whiskey. 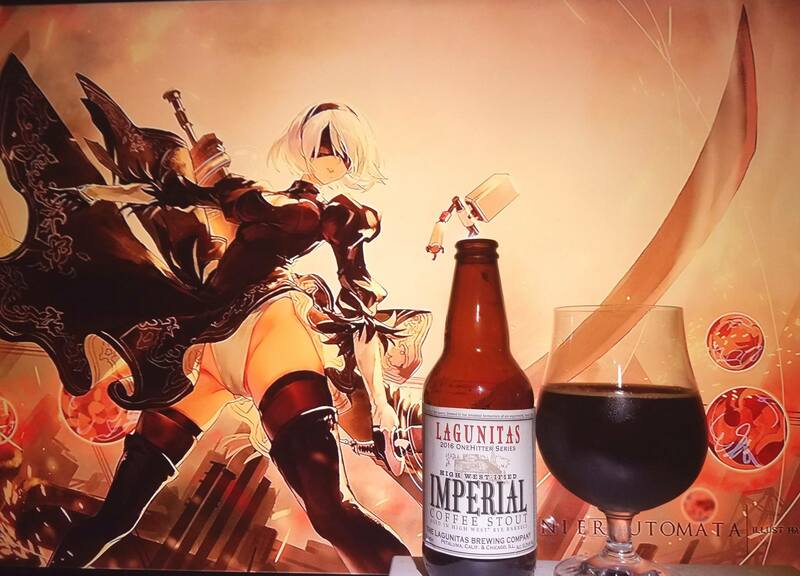 What an amazing beer for their anniversary that they released. I really enjoyed this one. If you would like to obtain this one, I got it at france44.com where they are very limited and selling out very quick. 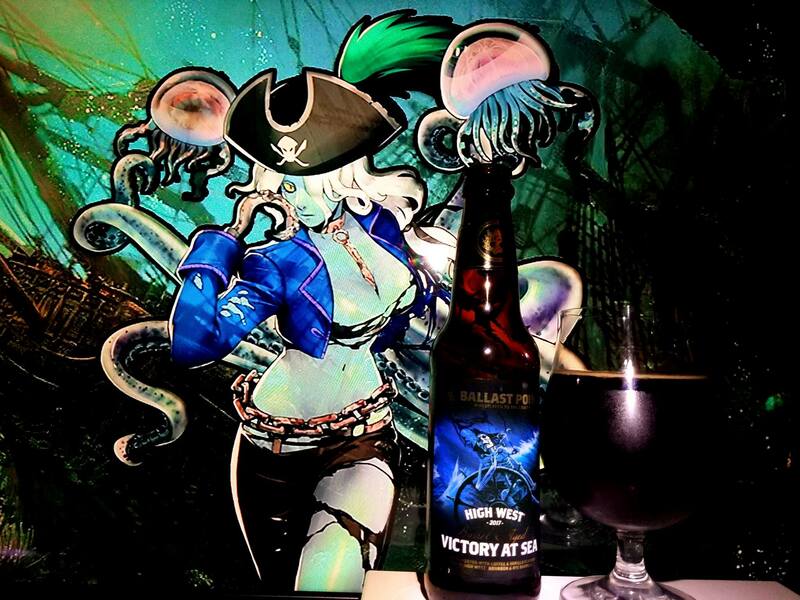 So yes, I highly suggest you get this special anniversary ale. Kaguya Ōtsutsuki from the Naruto series is one of the main antagonist from the series. 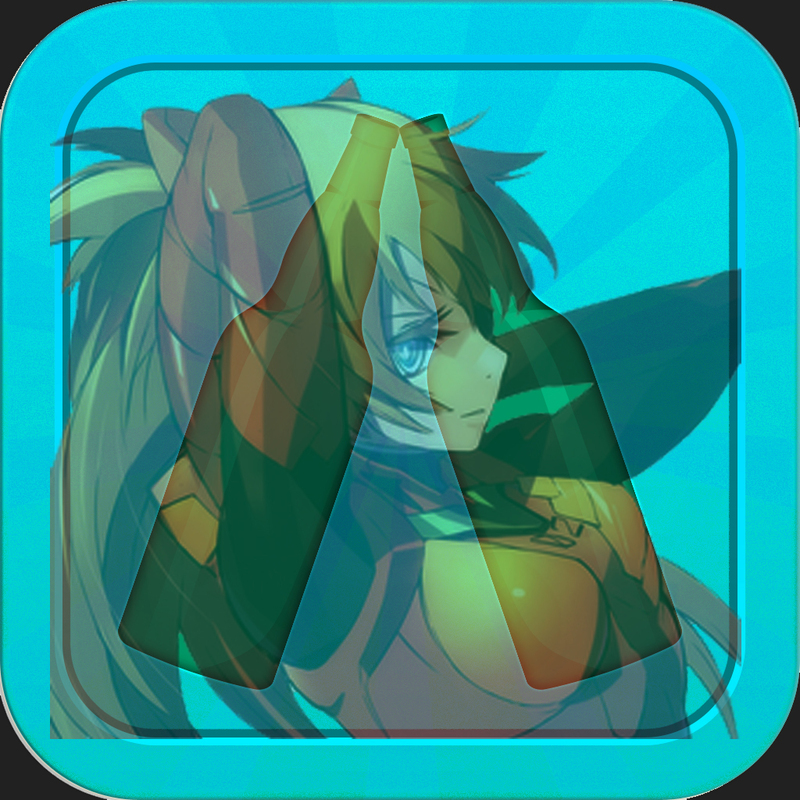 She was brought here in this pairing for several reasons. 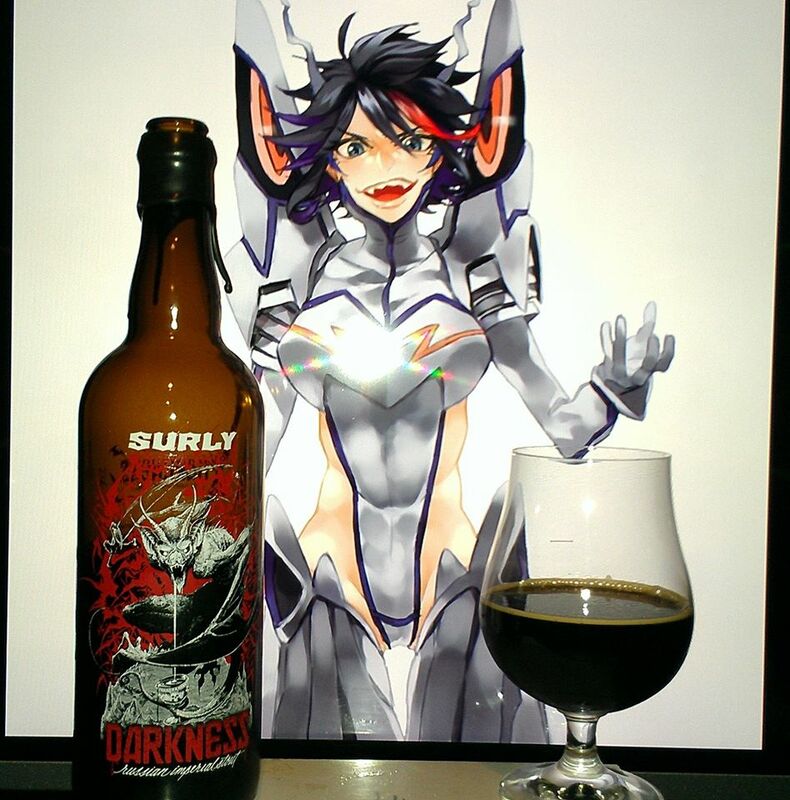 Mainly for her great pairing with the label, the evil that she is flows great with Surly and the white chocolate aspect I kept getting from the beer. 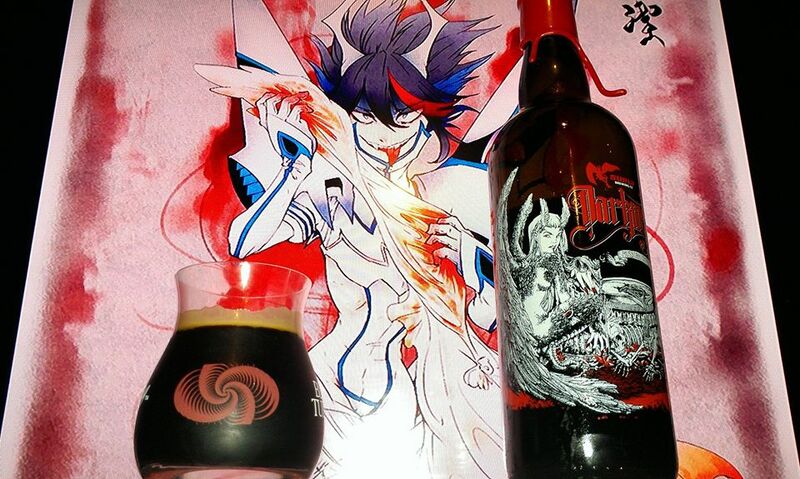 All the colors in this pairing show many of the flavor complexities that this one shows. 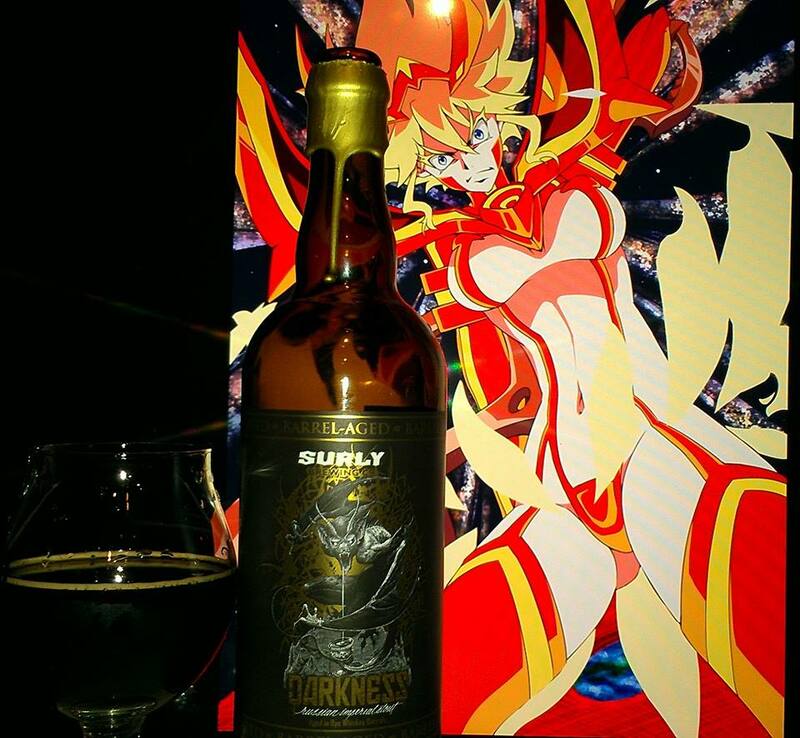 Surly unleashed a special type of demon from it’s sealed state and now with her sweet onslaught of flavors, she will take back what was hers. 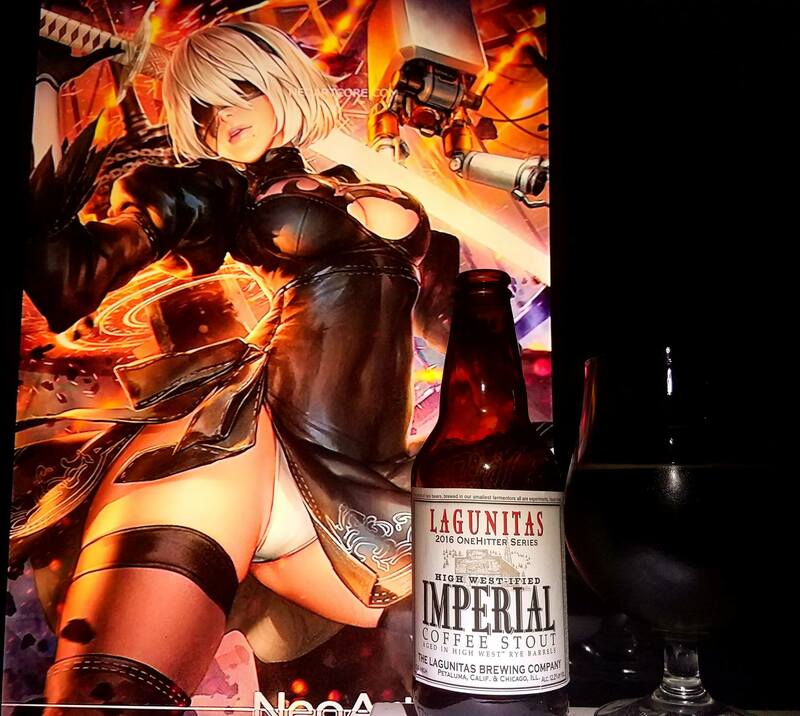 Your lack of not trying this beer. She is all powerful, complex, sweet in appearance and flavor but overall, just evil!! 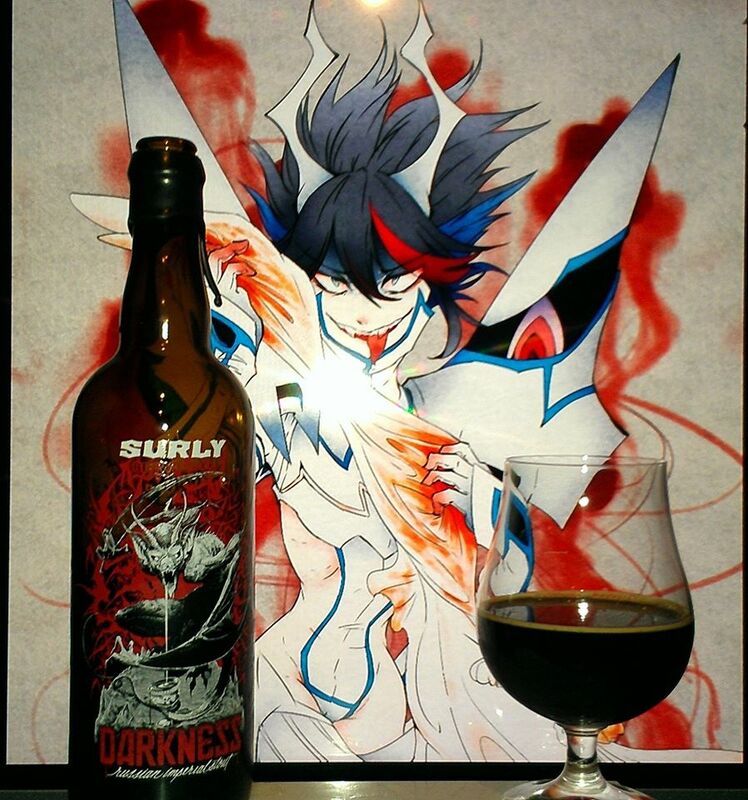 2014 Darkness by Surly brewing is a 10.4% ABV Russian Imperial Stout aged in High West Rye Whiskey Barrels. The legendary Harpy tortured unwary travelers by stealing their precious food and drink. This year’s cruel creature defends her cauldron of Darkness with razor claws and a dead stare of malevolence. Don’t mess with her Darkness. 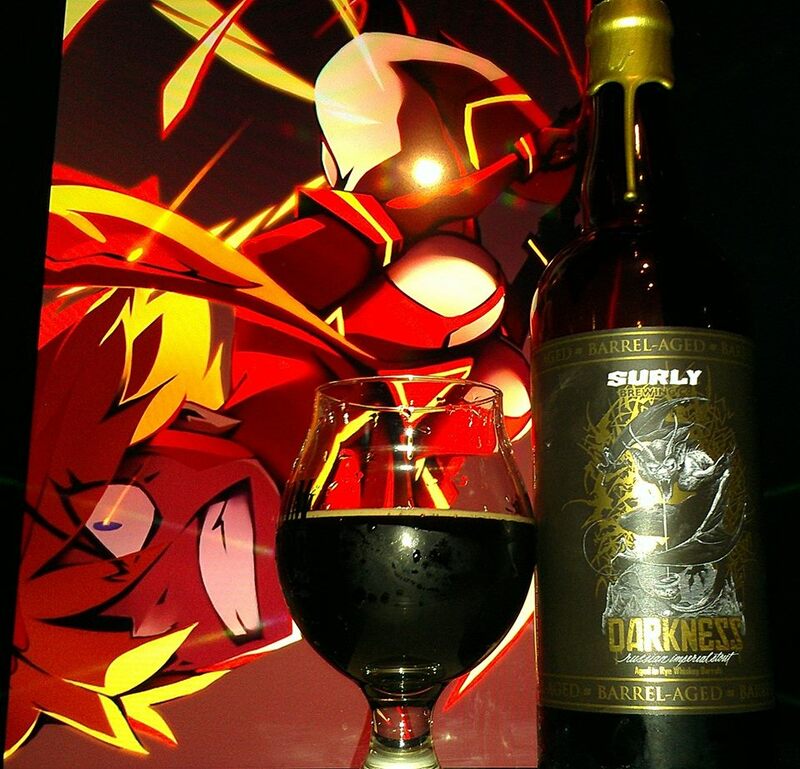 She’s hoarding this massively opaque barrel aged Stout screaming with notes of chocolate, coffee, dried tart cherries, vanilla, rye whisky and raisins. 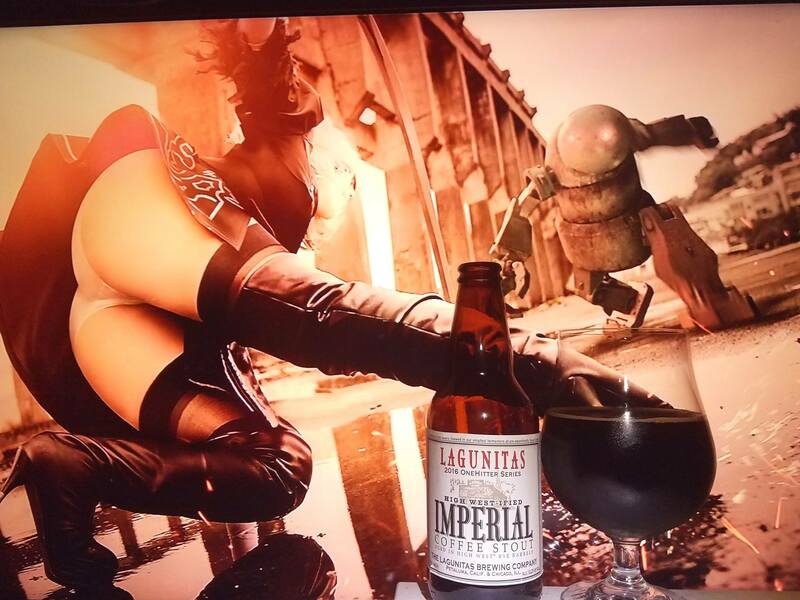 The thick body of this Russian Imperial Stout finishes sweet, with a piney resinous hop character. Dare if you will to open the bottle and steal from the imagination of our 2014 Darkness artist, Erica Williams. As Rick James would say: Darkness… darkness is spreading, black, midnight, evil, black magic, raw darkness and cold as ice. 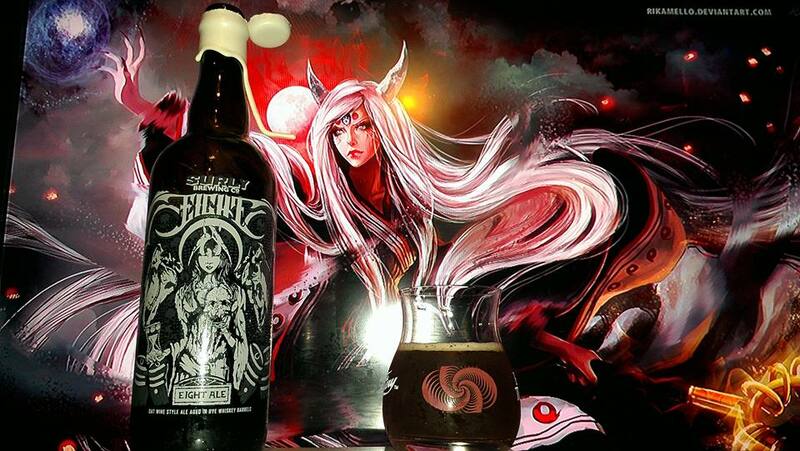 This beer is all that and more and especially since this year’s version is barrel aged. 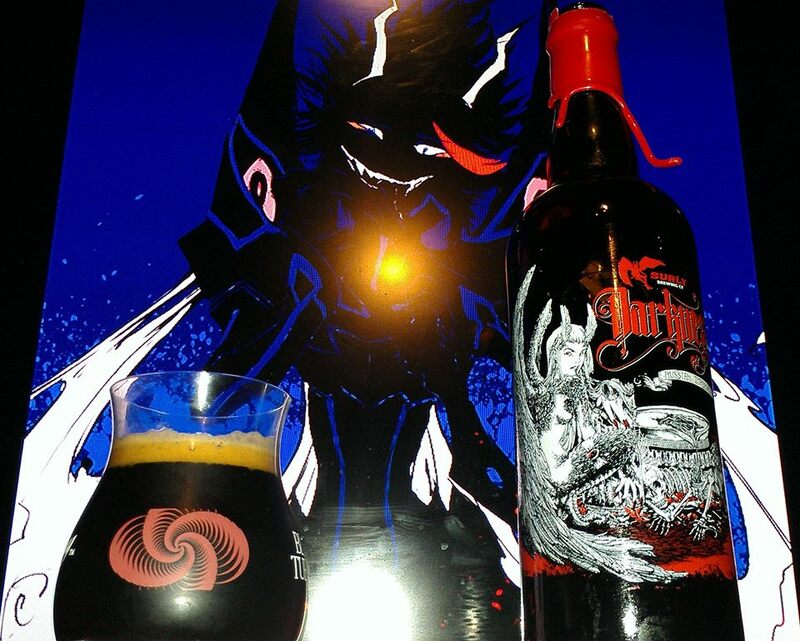 The 2013 was insane too but to try this one, well let’s just say this one may only be better than the original but we will definitely have to see how dark this beer goes and if we can even come out of this evil beer alive. Either way, maybe you should still consider getting this one even if don’t read further. The Devil’s water is pretty sweet! Rich bananas, old matured bananas, rich mango, rich matured bananas, plantains, oranges citrus, grapefruit, papaya, dark chocolate, milk chocolate, dark fruit raisins, currants, dark cherries, dulce de leche caramel, molasses, whiskey, oak , vanilla, rye bread on black berry toast, leather, tobacco, anise, mint, stone fruit, peaches, apricots, flan, sweetened condensed milk lechera, dragon fruit, passion fruit, guava, honey, brown sugar, pecan pie, marshmallow smores, toasted coconut and molasses. Rich bananas, plantains, whipped cream, pecan pie, rich matured bananas, dark chocolate, milk chocolate, bakers chocolate, chocolate covered mango, vanilla, oak, bourbon, whiskey, leather, tobacco, toasted bread on blackberry jam , dulce de leche caramel, oak, rye bread , dark fruit raisins, prunes, plums, figs, dark cherries, currants, mocha, roasted coffee, brown sugar, cherry Dr. pepper, rocky road ice cream, maple syrup, stone fruit peaches and cream, molasses, grapefruit, passion fruit, dragon fruit, guava, citrus, oranges, flan, cinnamon, capirotada raisin bread pudding, anise, raspberries, marshmallows, graham cracker smores, toasted coconut, flan, earthy notes, mild rum, brandy, almond joy, pecan pie, herbs, fruit cake, sweetened condensed milk lechera, brown sugar and honey. Very rich banana, dark chocolate, mango, dragon fruit, passion fruit, Earthy notes, dulce de leche, vanilla, oak, bourbon, whiskey rye bread, dark fruits like raisins, blackberry preserves, leather, coconut, dark cherries, fruit cake, pecan pie and more! 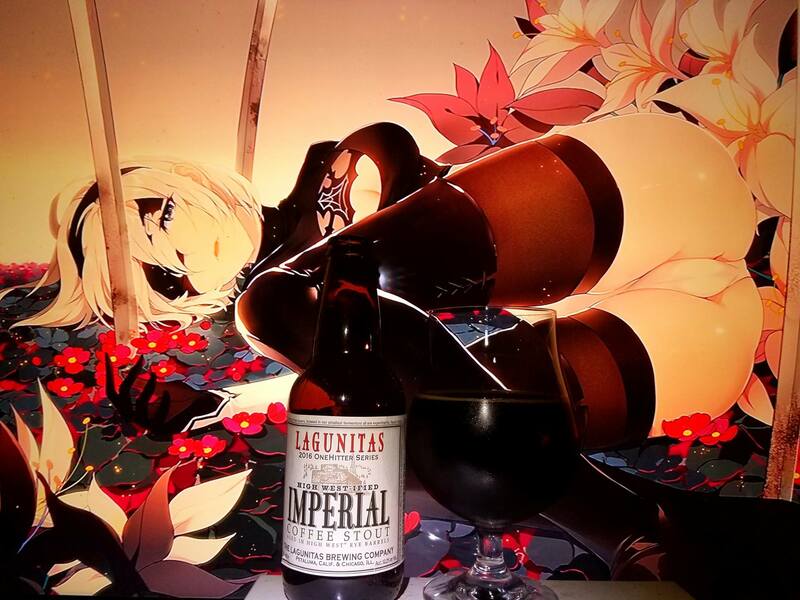 No alcohol In the taste despite it’s ambiguity, smooth and silky yet syrupy mouthfeel, dangerously easy to drink but should be sipping, pitch black body beyond the chaos and unseen realms of dimensional dark existence. If the original wasn’t as awesome, how about aging it in some really nice High West Rye Whiskey Barrels to amplify this one into further realms of taste, smell and overall, beer experience. This one just kept pushing and pushing and pushing deeper and deeper into the abyss of flavors to the point where I was not sure if I got everything I tasted. All I knew was just how damn great this was. 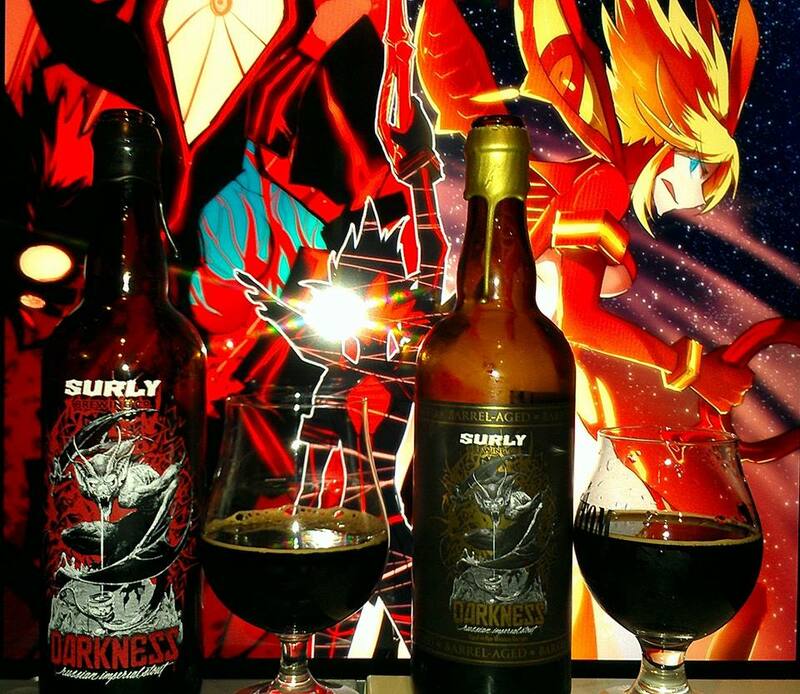 I am sure the 2014 Dark Lord Barrel Aged would do just the same but that Barrel aging surely brought it to the new level that mainly says to really search this one out. It is no joke. It is damn good. 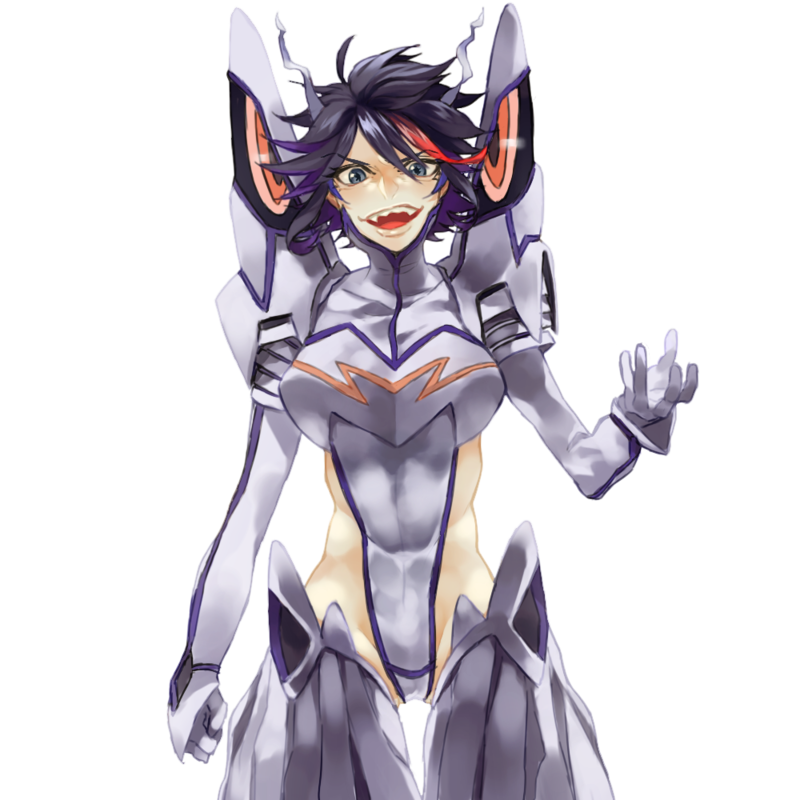 Ryuko Matoi from Kill LA Kill was used once again in this special pairing. 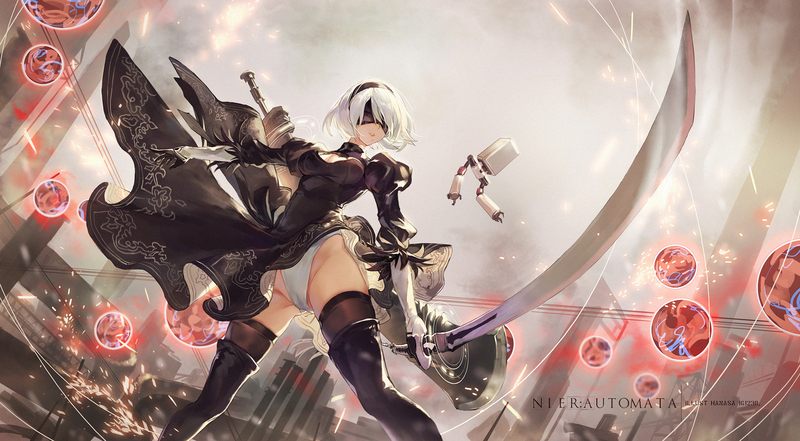 One of my favorite anime girls makes her return in her evil form. 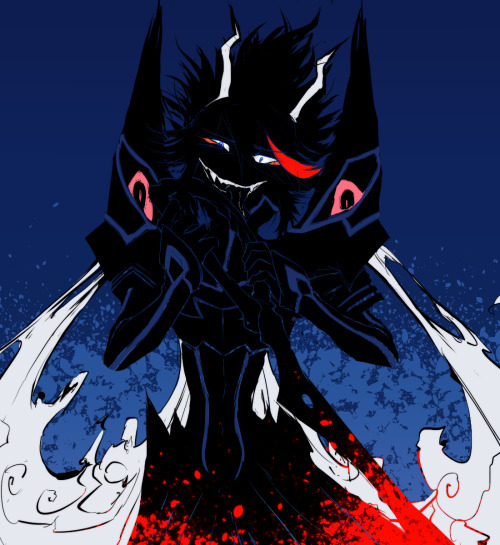 In the show, when she is brainwashed, she is forced to wear Junketsu which is that white uniform she has making her way stronger than her original form and pure evil. There is a lot of blood spilled when they try to fight her and her spilling of blood and tearing up a wedding dress is like that of the harpy in the label. She is sweet but she is not so forgiving in this form. 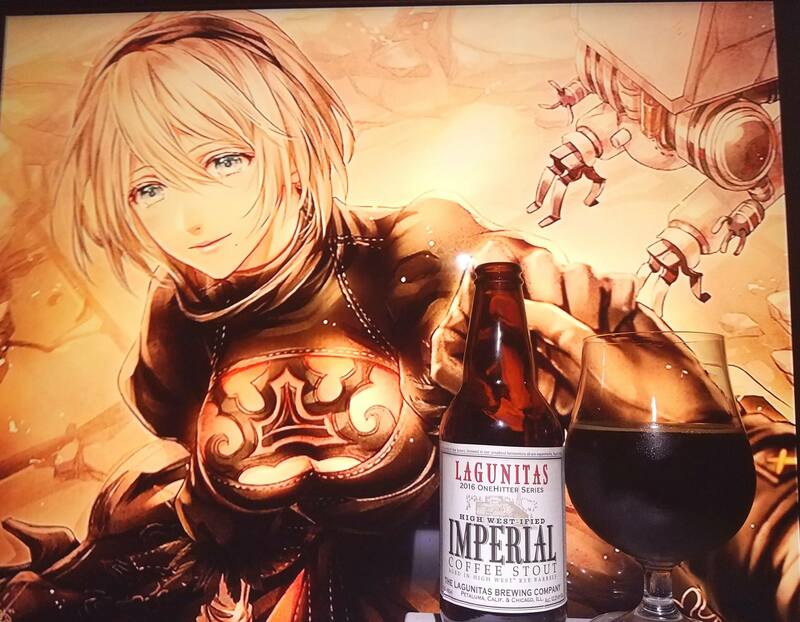 While this is not her ultimate form, which she becomes more of an angel, this fits the evil in her heart when she really lost her way and even in the darkness, there is still hope and that is why this beer is very rich and sweet.